While Dwayne “The Rock” Johnson and Jason Statham at preparing to put their bald heads together and take over the box office with Fast & Furious Presents: Hobbs and Shaw, it sounds like the pair will be sitting out the upcoming Fast and Furious 9. Johnson joined Universal’s petrol-headed franchise in 2011 to play the antagonistic Luke Hobbs. Over the years, Hobbs has gone from angry DSS Agent to angry part of Dom Toretto’s gang. In contrast, Statham put the pedal to the metal with a cameo in Fast & Furious 6 before becoming the big bad of 2015’s Furious 7. Hobbs and Shaw are set to put their differences aside and tackle a new foe (played by Idris Elba). 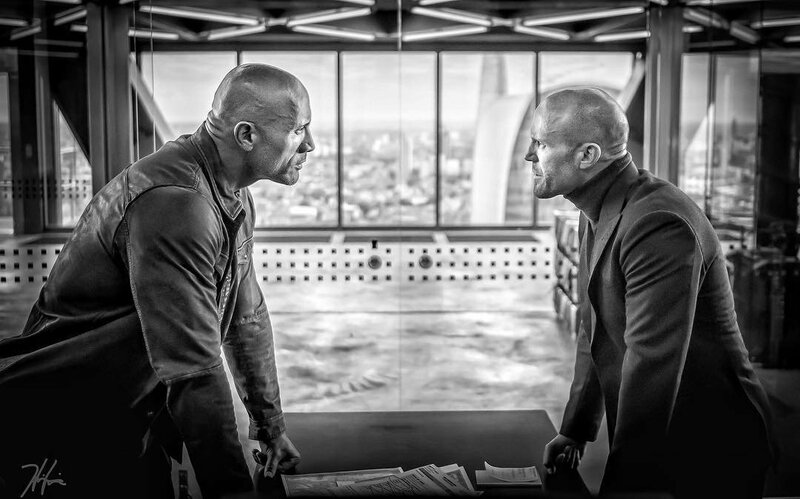 Both Hobbs and Shaw have become cornerstones of the main series, but according to Johnson, they won’t be flexing their muscles in Fast & Furious 9. While it might be a blow to fans of the adrenaline-pumped racing series, Johnson doesn’t rule out their triumphant return further down the line. It’s interesting that Johnson highlighted the unfinished business between Hobbs and Dom considering his behind-the-scenes drama with Vin Diesel. As well as playing series stalwart Dominic Toretto, Diesel has taken an expanded role as producer of some of the later movies. It’s no secret that Diesel and Johnson have some serious beef with each other. Rumours suggest that they refused to film any scenes together in the eighth movie and Fast & Furious 9 was delayed because of Hobbs and Shaw. By the sounds of it, Johnson is concentrating on Hobbs and Shaw before looking to the future. As it stands, it looks like Fast & Furious 10 will be the last main-series entry as the studio shifts focus to a variety of spin-off movies. Here’s hoping Diesel and Johnson will get to have that final bald-off in the last movie.